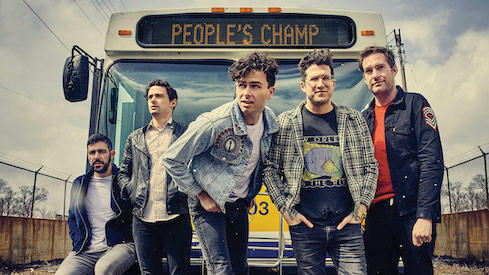 Andrew connects with Arkells frontman Max Kerman to chat about the band's latest album, Rally Cry. In addition to delving into some of the album's overtly political lyrical themes and why Arkells felt compelled to tackle them, they discuss the album's unique sonic character and how it evolved out of what they captured with 2016's Morning Report. Plus, hear Max's thoughts on the band's rise to headlining hockey arenas, their ongoing push into the U.S. market, continually trying to outdo themselves with each subsequent studio album, and more. Then, Mike catches up with Adrian Sutherland of the Indigenous roots-rock band Midnight Shine to discuss the band’s unusual formation, the financial and logistical challenges of a band where all the members live in different remote fly-in-only communities, and drawing inspiration from the land and culture of Northern Ontario. 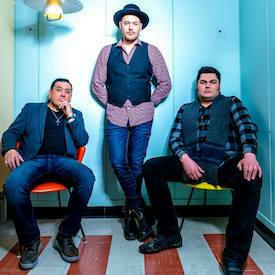 As well, Adrian explains why he made the “crazy decision” to leave a lucrative career as a CEO to pursue music full-time and talks about signing with high-profile agent Ralph James and working with musicians/producers John-Angus MacDonald (The Trews) and Tim Vesely (Rheostatics) on the latest Midnight Shine album, High Road.